Go to https://console.developers.google.com and sign in or create a new account. Click on ‘Create Project’ on top left. Select OAuth consent screen and enter email address and a product name. Click Save. Click on the Credentials tab and then click ‘Create credentials’ and select ‘OAuth client ID’ from the dropdown menu. 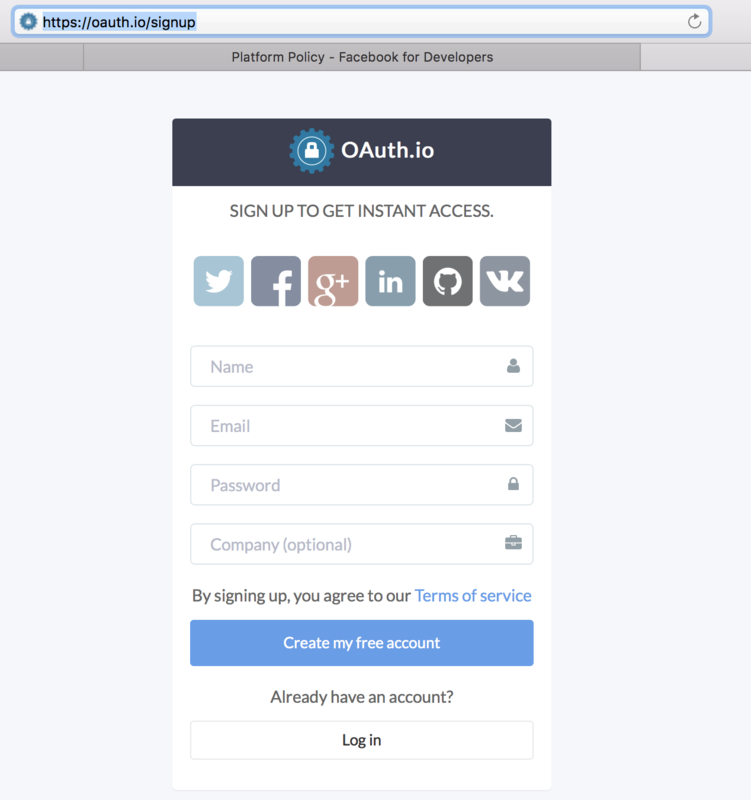 You now have your client ID and client secret which you will add to your OAuth.io dashboard. Select ‘Google’ as the OAuth provider that you want to add. Set access_type to ‘online’. From your Google app page, copy the Google ‘Client ID’ and ‘Client Secret’ that you noted earlier into ‘client_id’, and ‘client_secret’ fields, respectively, select your desired scope and then click ‘Save’. Click on ‘Try Auth’ to see if you have configured oauth.io to access your Google app correctly.